As captain of Monkstown FC it gives me great pleasure to welcome all players, members, supporters and officials to Sydney Parade. It is an honour to retain the captaincy of our great club for another year and a role which I take much pride in. 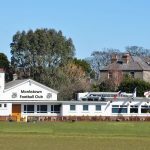 Monkstown is by far the most welcoming club I have known, with players from all over Ireland and the world wearing the jersey with pride. The atmosphere in the club is what makes it so special, all players are equal whether you’ve played at the very highest level or never played rugby before and this ethos is certainly something to be cherished. David Mahon continues as head coach with his wealth of knowledge and experience while the introduction of Christopher O’Connor as assistant coach and Shane Robertson as strength and conditioning coach has brought renewed energy and vigour to the coaching panel. Blaithin Brady continues as team physio and I would like to thank her for her on-going efforts and her excellent work in keeping everyone on the pitch. Although last season was tough, with some disappointing results, it’s a credit to the players and coaches how we dug in and worked extremely hard to maintain our Leinster League division 1A status by winning a close fought play-off. Hopefully in the coming season we can produce some good results and give our ever loyal supporters some enjoyable victories. I would also like to congratulate Mr. Michael Rothschild on becoming President of the club and wish him every success during his year in office. I would like to take this opportunity to thank all our club sponsors and advertisers for their continued support enabling the club to provide the fantastic facilities and service they do. I wish all teams in the club all the best in the coming season.